Let’s have a look at what would be served for the 2 pax set. Firstly, you would get to choose your pot of tea (Sri Lanka’s Dilmah tea brand) from 4 options, namely English Breakfast Tea, Earl Grey, Green Tea with Jasmine and Pure Peppermint Leaves. There would be more options available in the near future. For the English Breakfast Tea and Earl Grey, you would get additional herbs and spices to infuse your tea with more flavors such as mint leaves, lemongrass, honey, lemon slices, cherries and cinnamon barks. 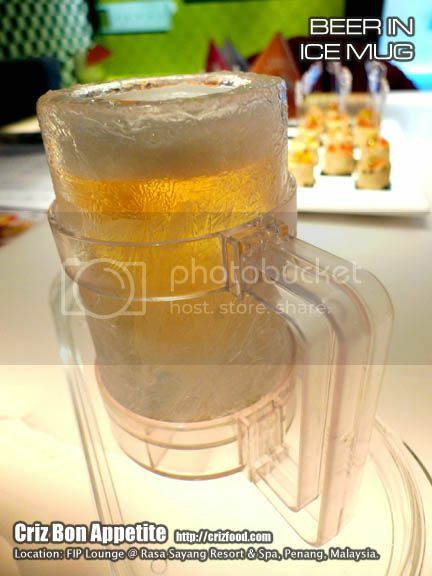 As for the English style Hi-Tea, you would expect to get a 3-tier serving portion for two. 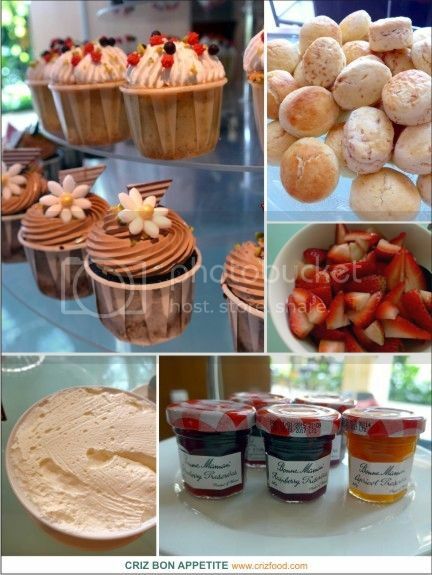 The first tier would consist of items such as fruit mousse, cheesecakes and chocolate fruit tartlets. The second tier would consist of club sandwiches, muffins and cookies whereas the bottom tier would consist of 2 types of scones served with strawberry jam and clotted cream. Overall, I quite like the concept of having hi-tea with panoramic view of the whole Penang. 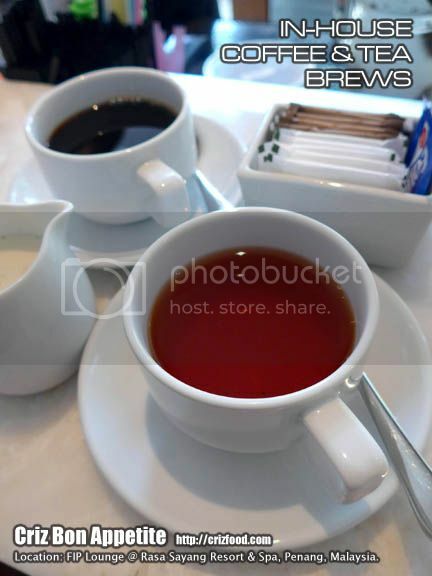 The price of RM68 for 2 pax is reasonable with a quality pot of tea, especially with Earl Grey and English Breakfast Tea which would come with additional addons of herbs and spices. However, I do find the items served to be a bit out of balance as the whole set consisted of more sweet items rather than a good ratio of sweetness versus saltiness. It was at 9:1 ratio. 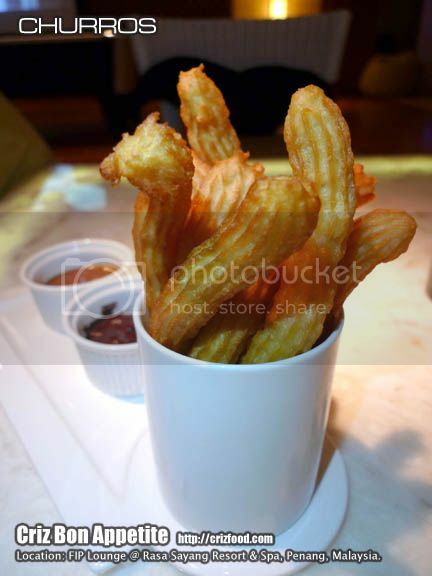 It will be great if the pastry kitchen can come out with a 7:3 or even 3:2 ratio of items. 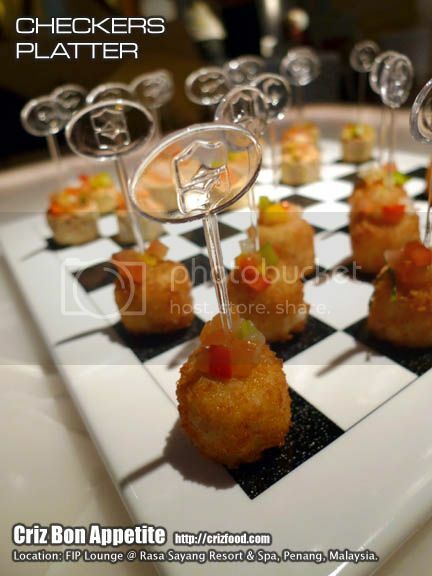 Instead of just the 3-tier “club sandwich” as the sole savory item, it would be great to replace it with 3 other smaller items such as cucumber & cheese sandwiches, mini egg croissants, vol-au-vents with tuna/turkey/chicken filling or even simple mini dinner rolls with salmon/turkey ham rolls. At least the diners would not feel too surfeit over too much sweetness. Sixty Lounge (Daily): 4.00pm-2.00am: (Happy Hours: 4.00pm-8.00pm/In-House Band (Wednesday- Saturday): House rules of No Slippers, No Shorts, No Singlet/Vest and Above 18 years old apply. 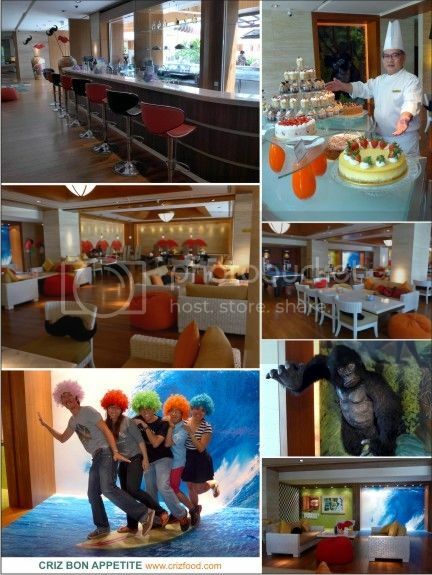 Note: Senior Citizens (60 years old & above) and Children (3-7 years old) are entitled to 50% discount. Child below 3 years old is FOC. 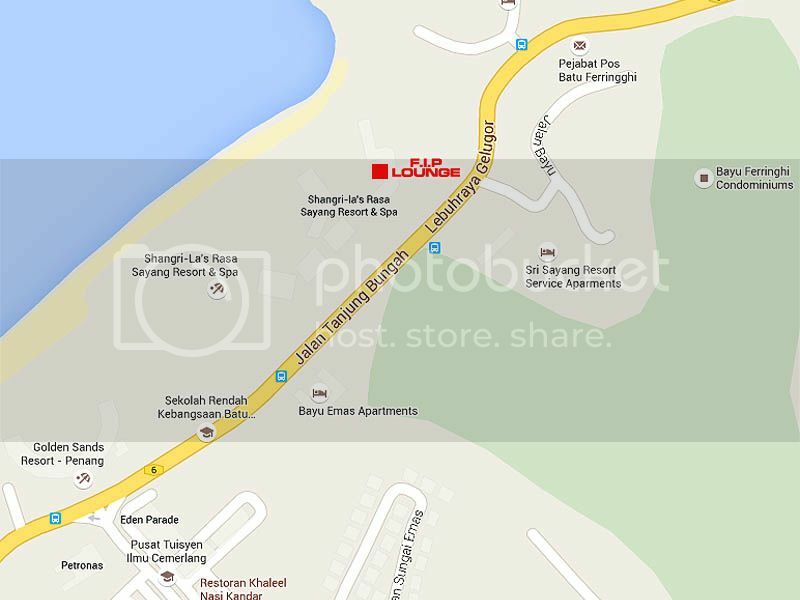 The 59Sixty @ The Top, Penang can be accessible through the information counter next to Maybank Komtar @ Lebuh Tek Soon. Please make prior reservation prior to your dining there as it’s a restricted access area and only the authorized ushers could lead you up to the top of the building. 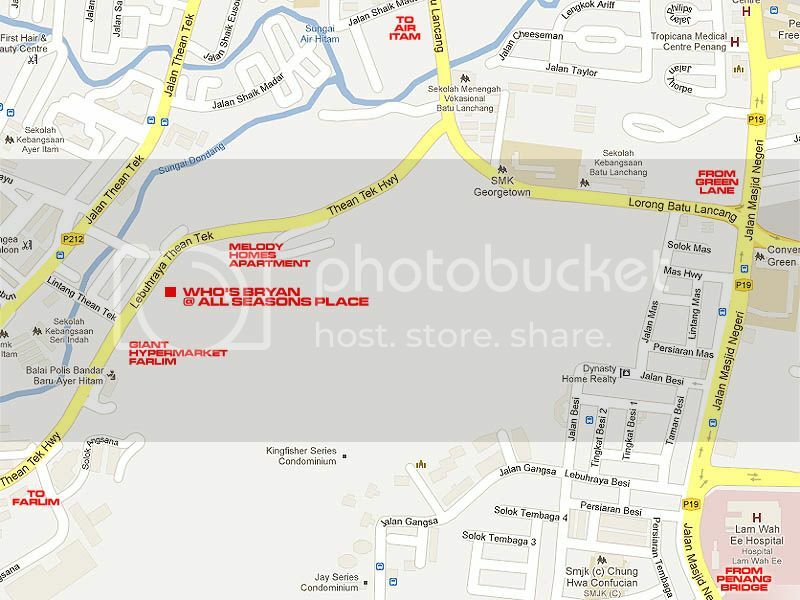 To get there, you have to drive along Jalan Dr Lim Chwee Leong into Jalan Ria and then turn right into Lebuh Tek Soon. It’ll easier if you were to park nearby there. There are 3 car parks available here – Ground Floor Komtar (after Pos Malaysia Komtar), Komtar Multi-Storey Car Park (on your right), Open Space Car Park (after the Komtar Multi-Storey Car Park on your right via a small lane/exit for the car park). 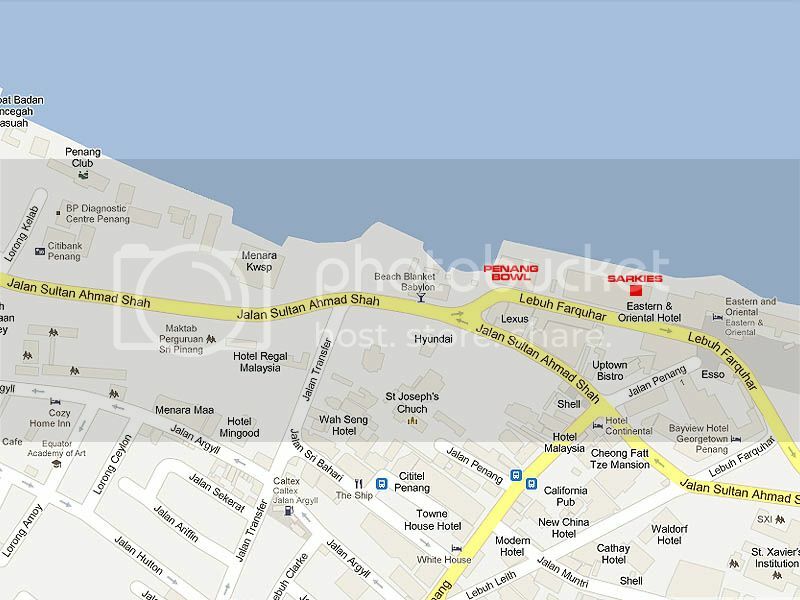 However, if you are dining until late, it’s advisable to park at other more brightly lighted car parks such as the Prangin Mall Car Park (1400 car lots), 1st Avenue Car Park (170 car lots) or even the Open Space Car Park opposite Hotel Jen/next to St Giles Wembley Hotel Penang (100 car lots) and walk over to the entrance as some car parks adjacent to Komtar will be closed as early as between 9.00pm and 10.30pm. For those visiting the Sixty Lounge until late, you can park at the Open Space Car Park (after the Komtar Multi-Storey Car Park on your right via a small lane/exit for the car park). However, if you are staying up until the wee hours of the day, please travel at least in pairs to the car park as it’s not so brightly lighted up. The Komtar area is currently under revitalization process, thus please give it some time to refurbish the conditions of all the surrounding car parks. 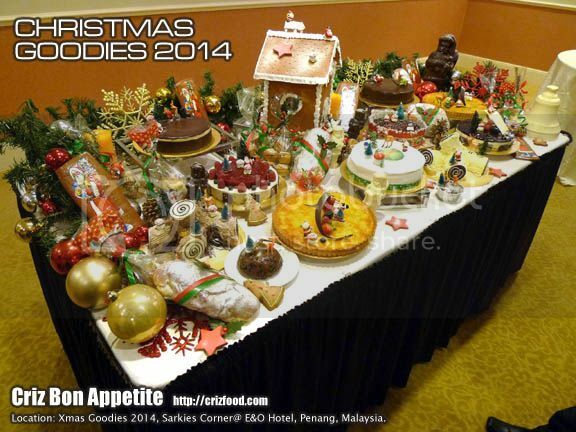 Do check out what Christmas Goodies 2014 will be available at Eastern & Oriental Hotel (E&O Hotel)’s Sarkier Corner this coming festive season. 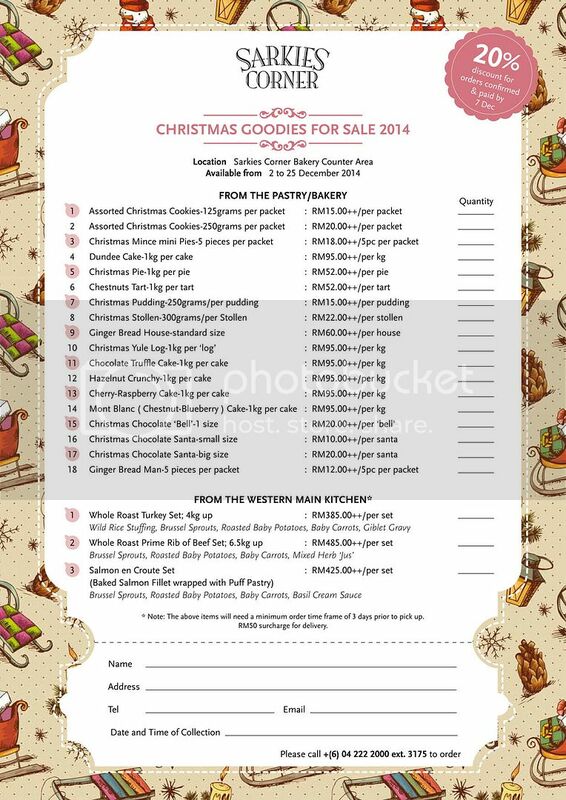 Items are available from 2-25 December 2014 while stocks last. To avoid disappointment, it’s best to preorder your choices at least 3 days in advance. From the Pastry/Bakery, there will be Assorted Christmas Cookies, Christmas Mince Mini Pies, Dundee Cake, Christmas Pie, Chestnuts Tart, Christmas Pudding, Christmas Stollen, Ginger Bread House, Christmas Yule Log, Chocolate Truffle Cake, Hazelnut Crunchy, Cherry-Raspberry Cake, Mont Blanc (Chestnut-Blueberry) Cake, Christmas Chocolate ‘Bell’, Christmas Chocolate Santa, Ginger Bread Man and more. 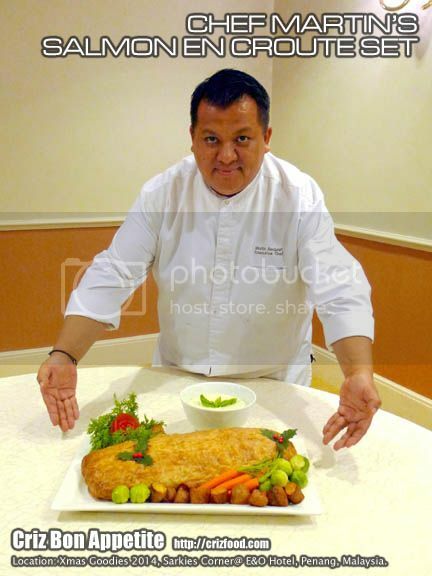 You can also order some savoury sets from Executive Chef, Chef Martin Becquart’s Western Main Kitchen such as Whole Roast Turkey Set (RM385.00++/per set – 4kg up) accompanied with Wild Rice Stuffing, Brussel Sprouts, Roasted Baby Potatoes, Baby Carrots & Giblet Gravy, Whole Roast Prime Rib of Beef Set (RM485.00++/per set – 6.5kg up) accompanied with Brussel Sprouts, Roasted Baby Potatoes, Baby Carrots & Mixed Herb ‘Jus’ or even the Salmon en Croute Set (RM425.00++/per set Baked Salmon Fillet wrapped with Puff Pastry) accompanied with Brussel Sprouts, Roasted Baby Potatoes, Baby Carrots & Basil Cream Sauce. * Note: The above items will need a minimum order time frame of 3 days prior to pick up. A RM50 surcharge for delivery will be applicable. For more information on the items, please click to enlarge the order form below for a clearer view. If you are driving into Farlim, Penang, via Lebuhraya Thean Teik, you would notice that there’s a premier lifestyle destination known as the All Seasons Place built by Belleview Group, where they promised that the whole family would get to enjoy the best shopping, dining and entertainment experiences all year round. I would say there are quite a number of eateries over there ranging from fruit tea, desserts to many overseas franchised cafes and restaurants. 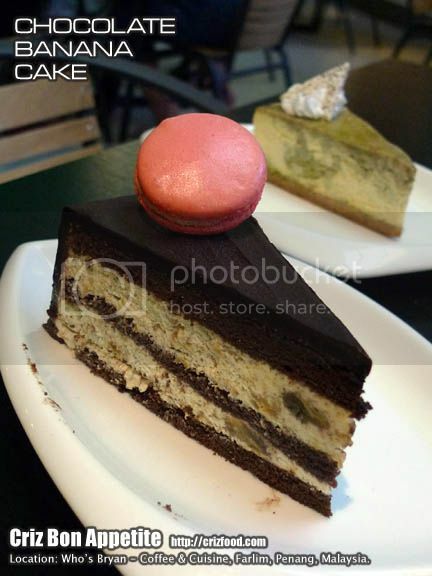 What caught my attention was the café named Who’s Bryan, which has another two outlets in Butterworth as well as in the heart of George Town, Penang. Food choices would range from breakfast/brunch, afternoon tea (1 pax: RM21+, 2 pax: RM38+ with 8 different types of cakes & snacks), salad, soup, chicken, fish, red meat, sandwiches, burger, croissant, tortilla wrap, pasta cheese bake, pizza, pasta, local cuisine and light bites. 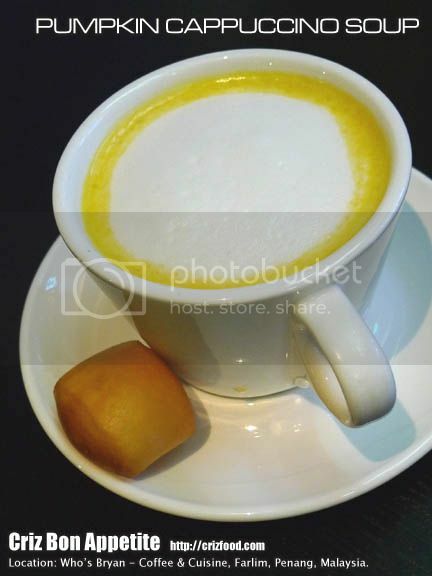 To start off the meal, we had Pumpkin Cappuccino Soup (RM8.90+). 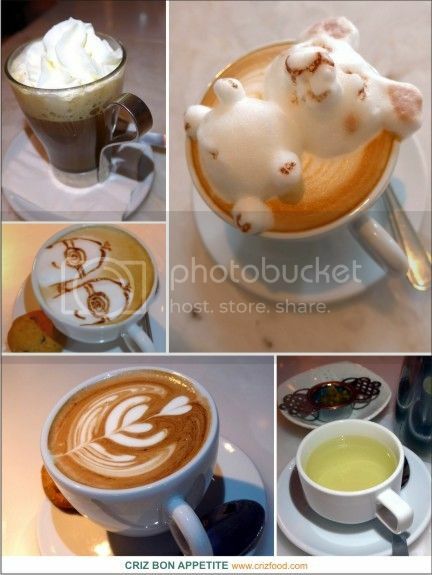 Who said we can’t have pumpkin soup the cappuccino style? Of course, surely there won’t be any espresso added into the soup but it’s the frothing of the added milk as in cappuccino that had the soup named this way. The serving came with a deep fried mantou rather than croutons as shown in their menu. Frankly speaking, I would rather have some croutons in my soup than a quite dry and chewy mantou. Moreover, it would be great if they had garnished the soup with some chopped spring onions and/or toasted pumpkin seeds or pine nuts. Overall, the soup was reasonably nice to my liking. Next we had their much recommended Who’s Crumbly Chicken. 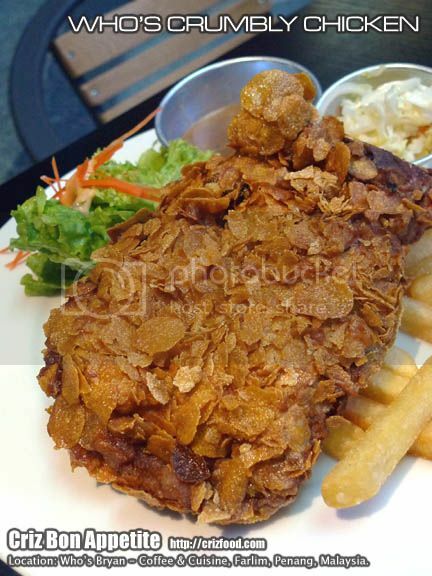 It was a piece of well marinated boneless chicken drumstick plus thigh coated with some batter and lots of cornflakes prior to deep frying. It came served with some fries, fresh greens salad and mushroom gravy. Taste wise, it was fine except that I personally felt that they used too thick a batter in order to get such a thick coat of cornflakes. Moreover, the cornflakes were a bit too hard to munch. They should consider another brand with thinner flakes. They also do serve pasta. 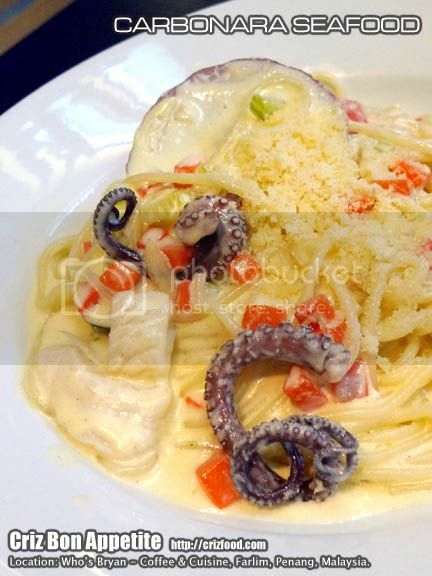 We tried out their Carbonara Seafood (4 choices: Vegetables–RM13.90+, Turkey Ham–RM15.90+, Chicken–RM15.90+, Beef Bacon–RM15.90+ and Seafood – RM16.90+). I guessed I made the right choice as they dish was remarkably delicious for the price paid. It was creamy and the seafood (scallop, mussel, fish, squids & octopus tentacles) was rather fresh and there was a large amount of added Parmesan cheese. Yummy! However, they only use carrots, onions and celery to sweeten the sauce. I would have expected some sprinkles of mixed herbs on the dish. 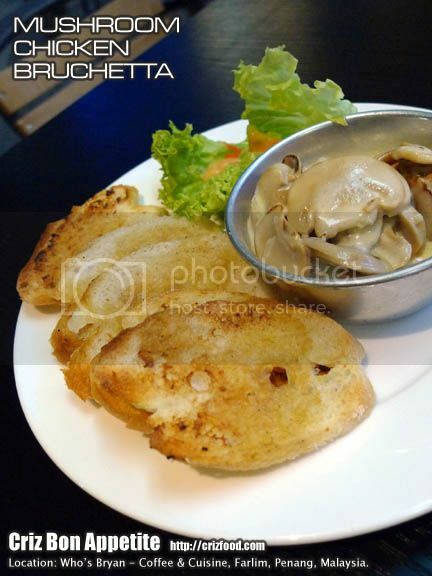 For lighter bites, you could always order their Mushroom Chicken Bruchetta (RM10+). The dish would come with 5 thin slices of toasted baguette, some fresh greens salad and a container of mushrooms and chicken chunks in cheesy sauce. I quite like the flavor of cheese. However, I found the sauce to be a bit too salty to my liking. Moreover, the sauce lacked the flavors from some black pepper and herbs. Finally, it was dessert time. 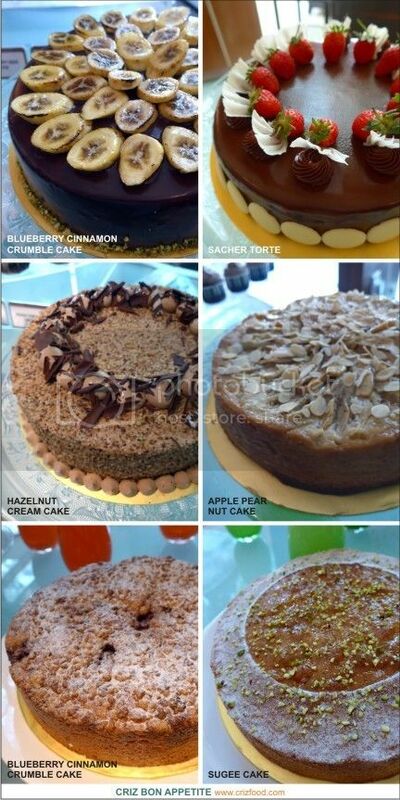 Currently, they have a promotion for two pieces of cakes from their chiller at only RM13+. 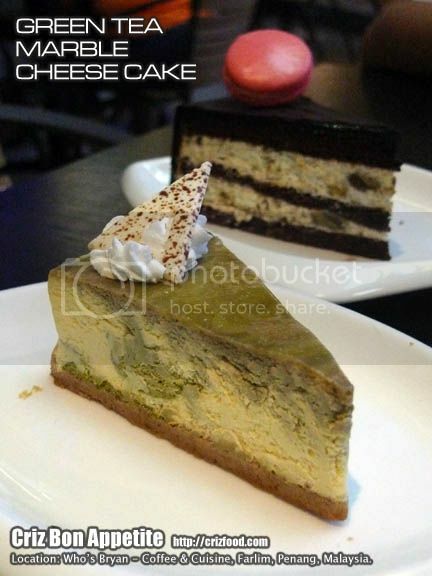 The Green Tea Marble Cheese Cake (RM9.90+) looked impressive but it was one of the most disappointing cakes I ever had. 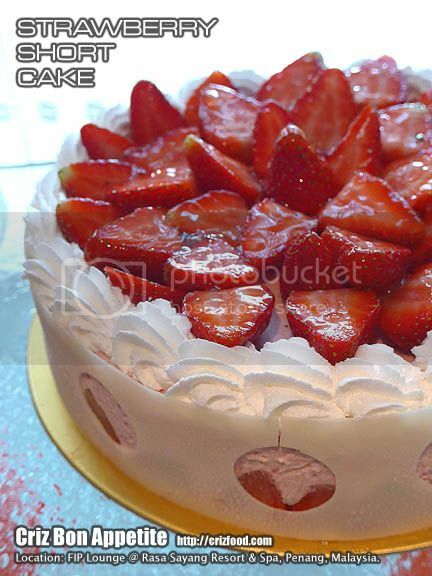 How could they use sponge cake as the base? With such a heavy based cream cheese, the cake would have been squashed flat. 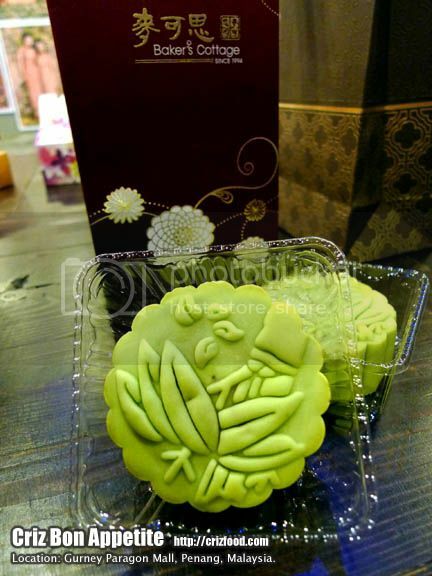 Moreover, the moist within the cream was drained by the sponge cake until it was so dry and thus having the sandy texture from the green tea powder used. Whoever produced this cake was a total failure. The cake was not fit for consumption at all. 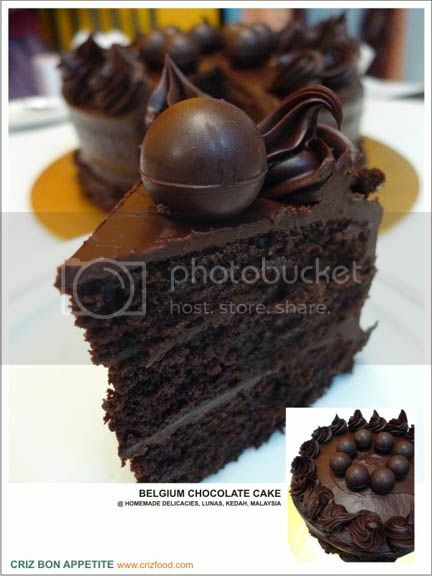 The second cake which I ordered was the Chocolate Banana Cake (RM10.90+). This was again another miserable product. I did not expect the banana used to be so limited and filled with sap taste from what I suspected to be unripe banana being used. On top of that, the cream was filled with an overpowering taste from added banana essence. The ganache was still fine but the decorated macaron was really soiled. 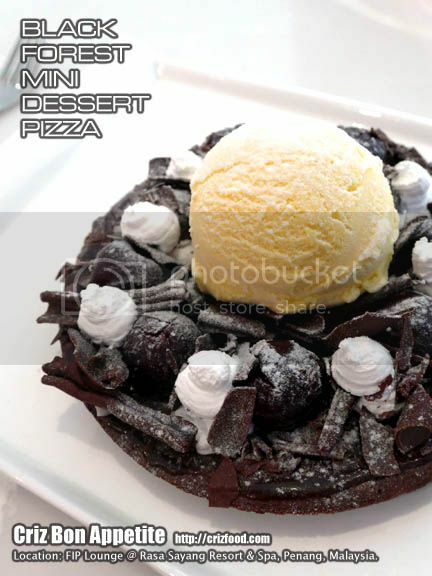 This is another flopped dessert. 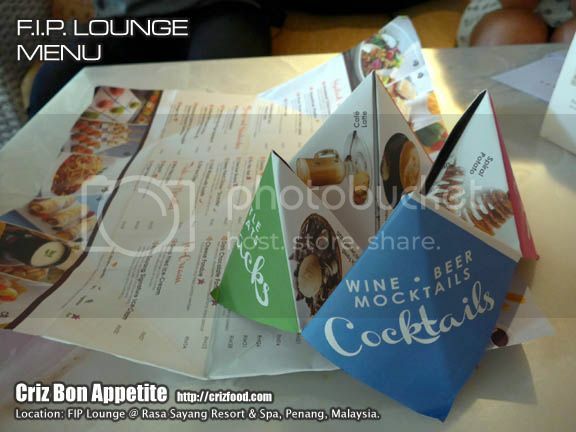 As for beverages, we had an Iced Peach Tea (RM6.50+) which was a bit overpriced for a sachet made version. 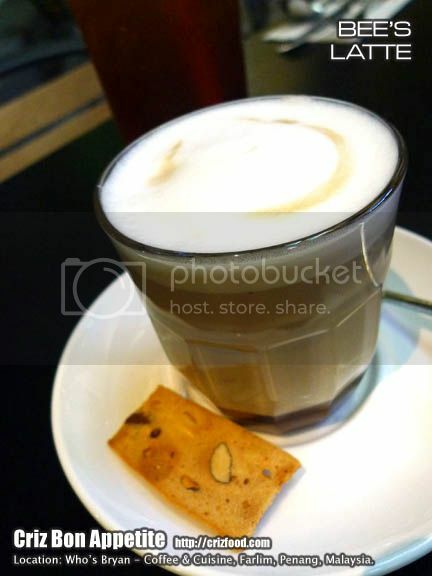 However, I should give compliment to their Bee’s Latte (RM8.90+). It had added honey and the espresso flavor was really distinctive. It came served with a slice of biscotti which was just average tasting. Overall, this café would still be a great place to hang out over some cups of coffee and some light snacks. They do have some in-house bands to entertain you but the music could be quite loud to the ears at times. However, from my point of view, the desserts were totally not presentable and not up to par if you are looking for something to tempt your sweet tooth. They were rather cheap looking but would come with a high price tag. 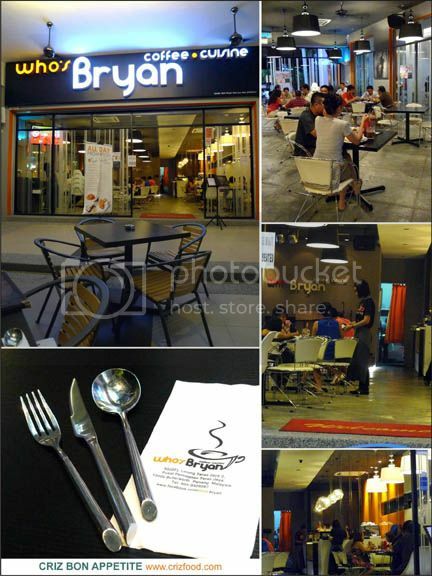 Who’s Bryan is located at the center span of All Seasons Place, Farlim, Penang. If you are coming from Penang Bridge along Jalan Mesjid Negeri, keep a look out for the traffic lights at the flyover next to Convent Green Lane. Turn left into Lorong Batu Lanchang and drive on while keeping left until you reach another traffic lights T-junction. Turn left into Lebuhraya Thean Teik and drive on for about 600m and you would see the mall on your left. The entrance to the mall would be near the Giant Supermarket. There would be ample parking space there, provided it’s not a weekend when shoppers would do their weekly groceries intake. 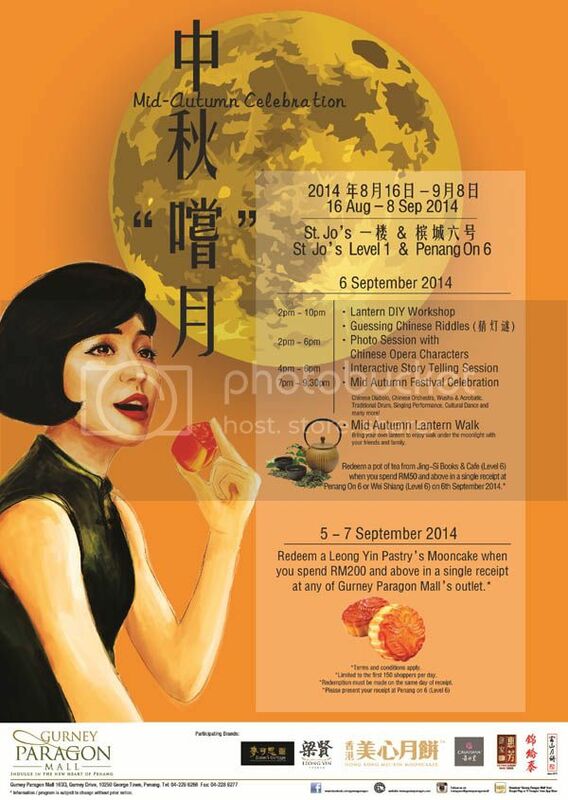 Address: 6H-1-1, All Seasons Place, Lebuhraya Thean Teik, 11500 Farlim, Penang, Malaysia. 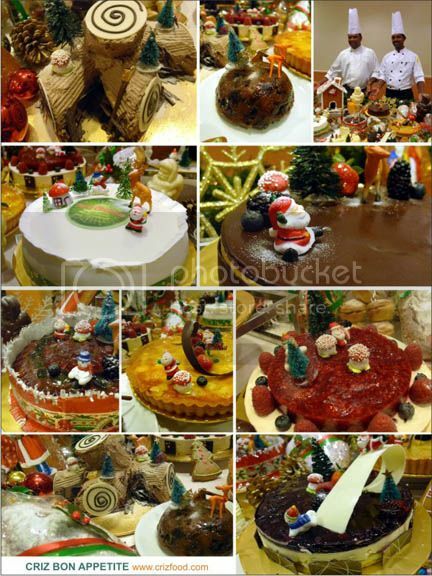 More and more home based bakers had popped up recently in Malaysia to share out their delicious delicacies. Well, I won’t mind indulging in more homely bakes since they have the strictest handling procedures without added preservatives, quality ingredients and the huge passion in the heart to bake the best for their happy customers. 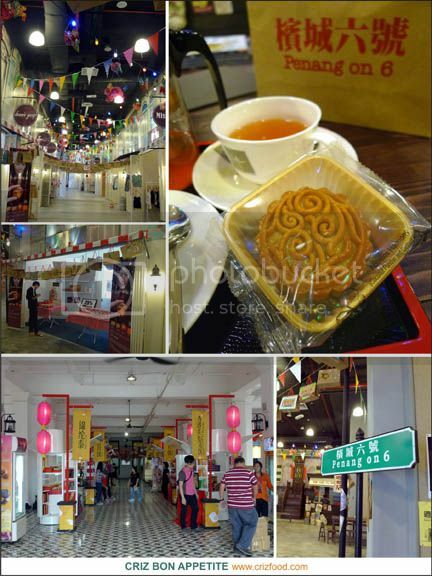 One such outlet is the Homemade Delicacies located in Lunas, Kedah, Malaysia. 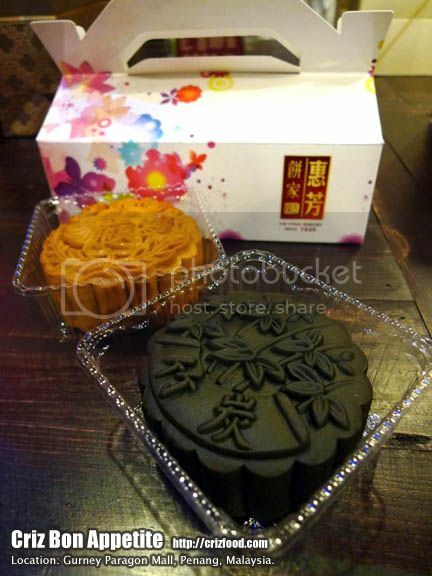 Their delicious homely bakes surely reflected the carefulness and conscientiousness of the master baker to excel in this industry. All you need to do is to call up the baker to place the necessary customized orders and door-to-door delivery to savor these delicacies. 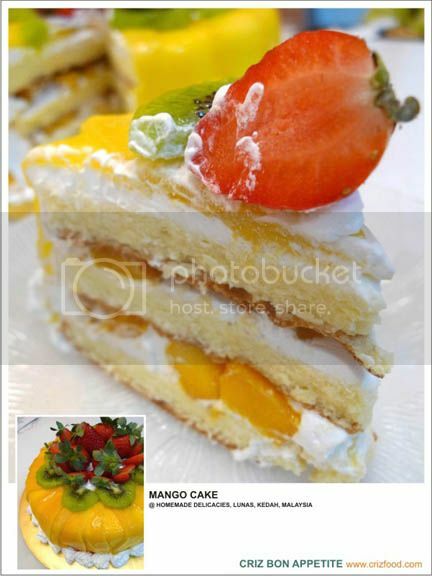 One of the lovely cakes that I love quite a lot was their Mango Cake (1kg – RM79nett). Not only was the taste perfect for my boost of sweet tooth, it was gracefully decorated with a beauty of its own. 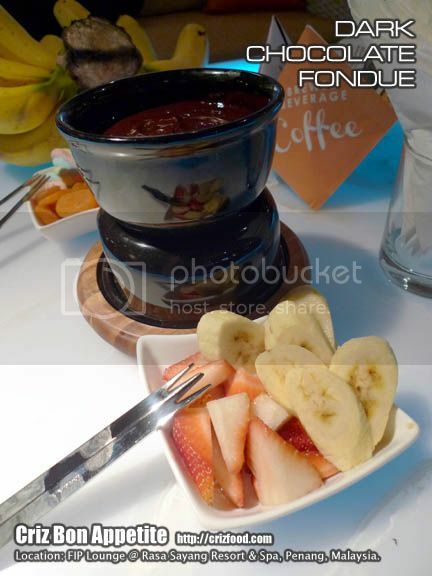 It was elegantly presented and yet superbly flavorful with the generous amount of natural fruits toppings. 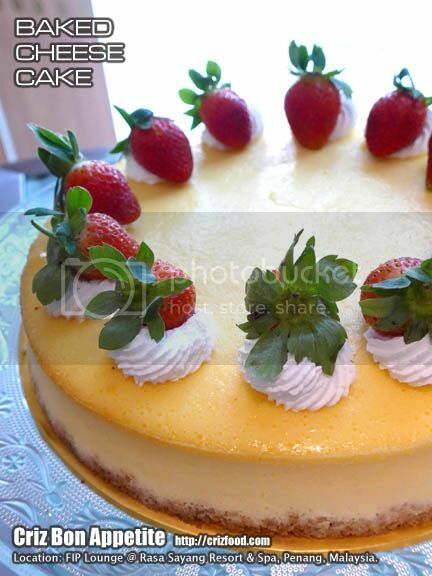 The moist and spongy cake layers within had just the right sweetness from the chunks of mangoes and fresh cream. 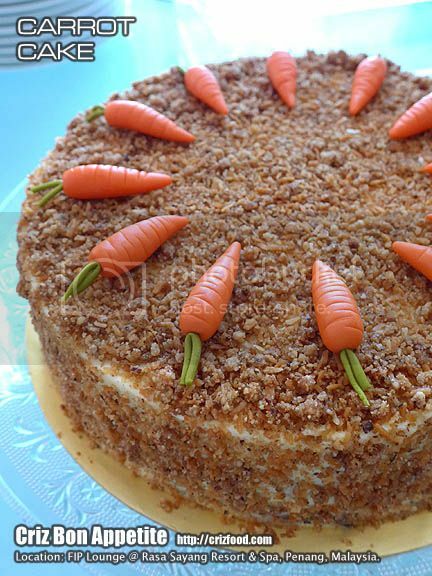 Mango lovers would surely fall in love with this cake at first sight. 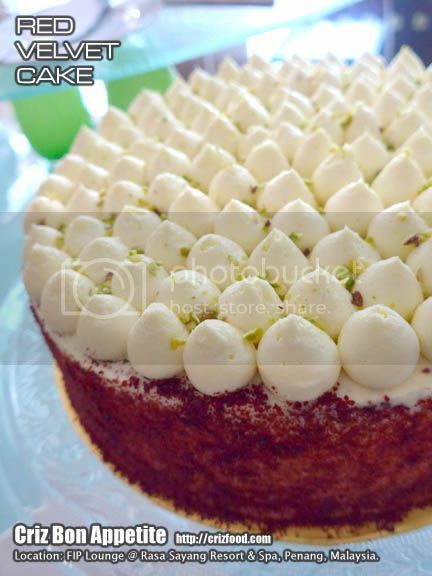 From the outlook of the cake, you can clearly see the passion of the baker, spending a huge amount of time, tediously applying layers and layers of sliced mangoes onto the cake, thus creating a winning entry. At least 5 quality mangoes were used to come out with such a cake. To avoid disappointment since quality mangoes can be quite limited to source, it would be advised to preorder the cake earlier. 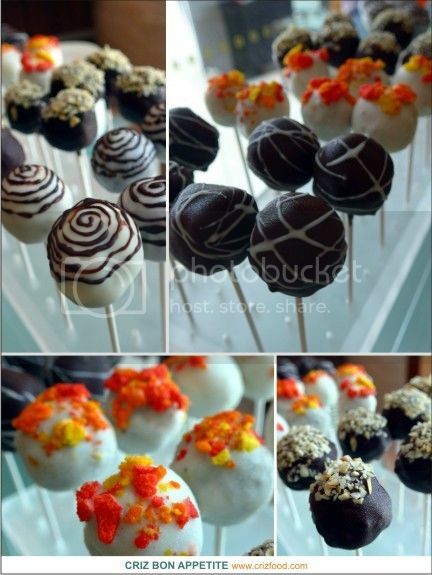 On top of the sweet treats available from Homemade Delicacies, there would also be some light savory finger food ideally for parties, meetings, picnics made to your orders. 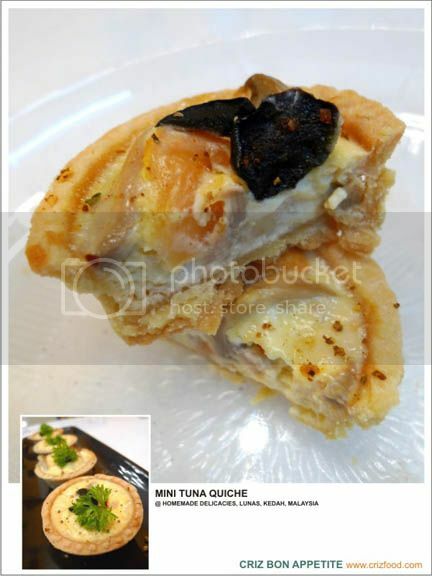 One of the options would be the Mini Tuna Quiche (RM27nett/ box of 9 pieces). The fillings were actually made out of beaten eggs with some cream (sour/yogurt) plus mayonnaise. It also had some added cheese combined with some well drained tuna flakes, tomatoes and cut olives. The fragrantly baked crust plus the nice combination of filling made these quiches nice snacks over coffee or tea. For stronger flavors, some sprinkles of mixed herbs (or even dill alone for seafood) plus a light touch of paprika or chili flakes would make them the perfect finger food for my palate. 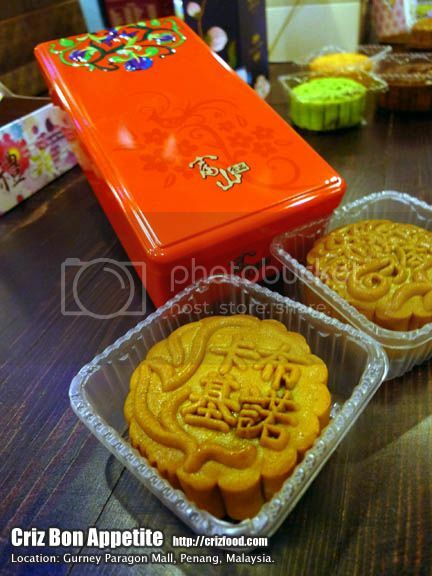 As Mid Autumn Festival is just around the corner, Homemade Delicacies would also produce daily fresh mooncakes such as the Traditional Baked Mooncakes, Snowskin Mooncakes, Shanghai Mooncakes, Jelly Mooncakes and more. 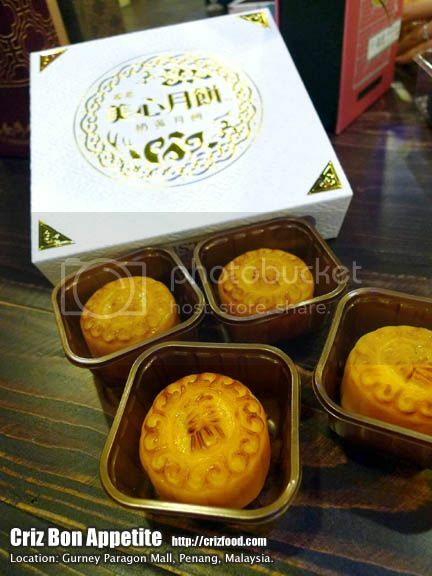 Of all the mooncakes, we had tried out the Shanghai Mooncakes (RM40nett/box of 4 pieces). 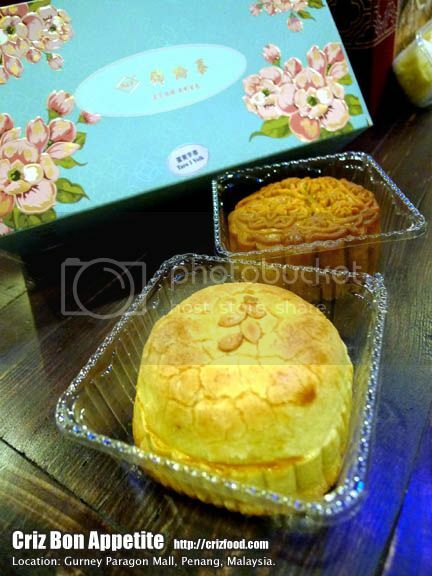 The Shanghai Mooncake had the full fragrance from the quality butter, egg and flour. 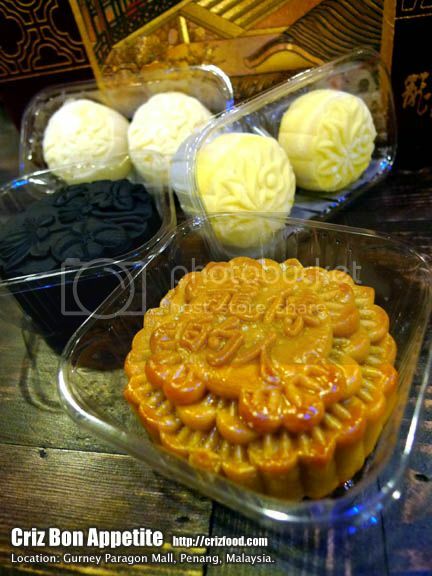 Each had some sweet pure lotus paste with one fresh salted duck egg filled within its soaring round shining shape. Very much different textured with a crusty bite compared to the traditional ones. The added pumpkin seeds on the surface gave it an extra crunchiness. 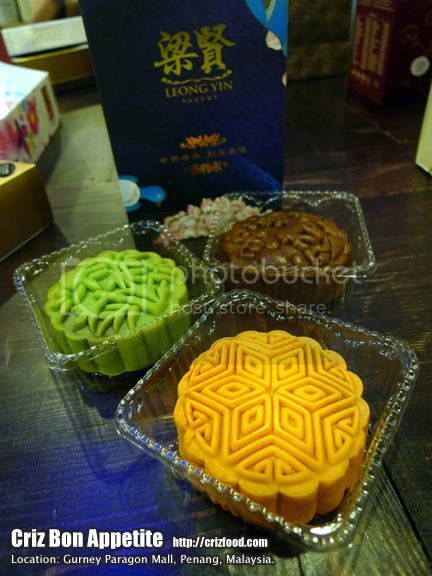 Other than that, we also managed to try out the many varieties of Jelly Mooncakes (RM30nett/box of 4 pieces). 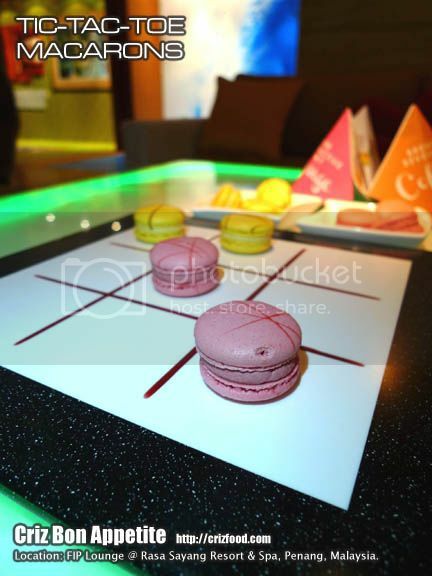 Some of the options we had tested out were the sweet corn, dragon fruit, green tea, chocolate and coffee. 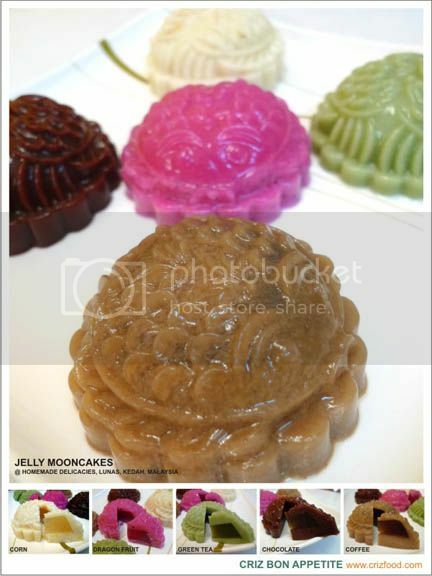 The new generation type of Jelly Mooncakes resembled the concept of those traditional ones with so called “fillings”. Basically, both the “filling” and “crust” were from the same compounds, with the “filling” being a bit firmer and stronger in taste whereas the “crust” had some evaporated milk added in for the extra creaminess. 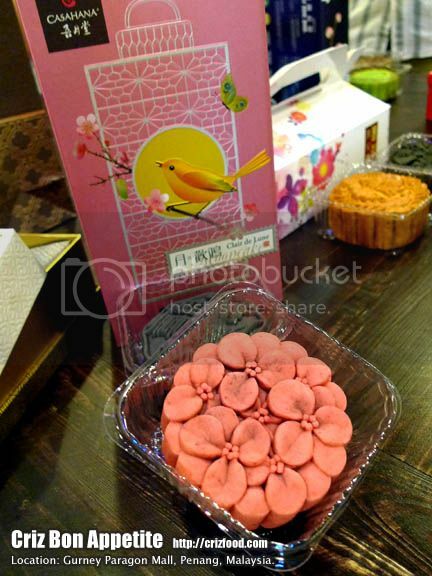 Somehow, my preferences were towards those more natural flavored ones such as the sweet corn and dragon fruit. 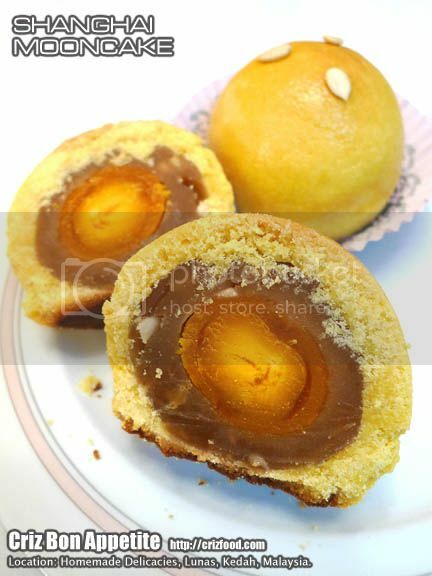 Overall, if you need to indulge in some heavenly homely bakes with the highest quality of ingredients. You will know where to find them now. Other options might include cupcakes, tarts, cookies, jellies and more. Most likely whatever you want, she might be able to pep them up for you. 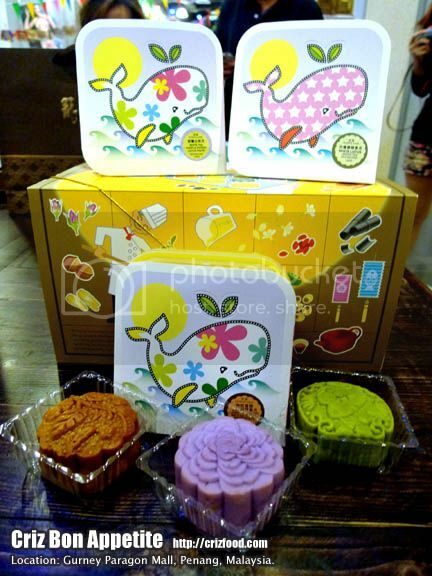 As these snacks and cakes are all home baked, you would have to call up Nicole Ann Ng to make the necessary orders and delivery arrangements.